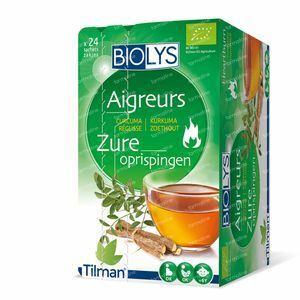 Biolys Turmeric - Licorice 24 bags order online. 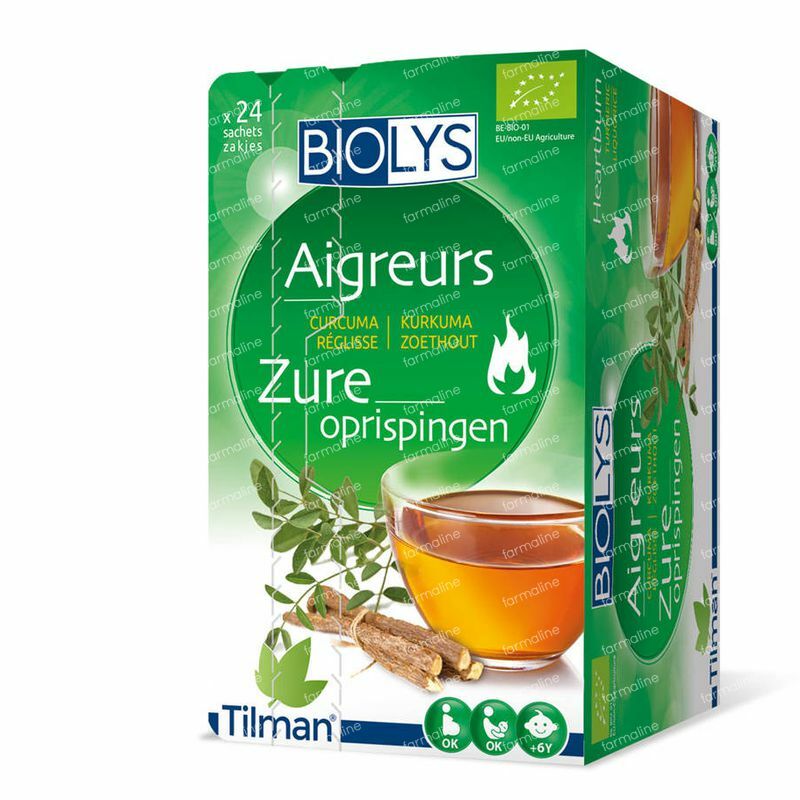 This herbal tea with Turmeric-licorice helps to keep a digestive balance. *Product from biological argiculture. Certisys BE-BIO-01.